The FIFA Confederations Cup 2013 is all set to begin on June 15 and goes on till June 30. This time, the FIFA Confederations Cup 2013 will be played in Brazil. The teams have announced their squad for the tournament. 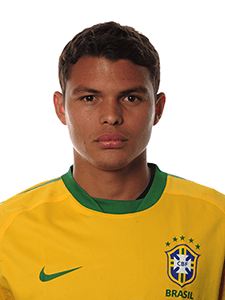 Cricmatez.com brings you the FIFA Confederations Cup 2013 Squads for all the eight teams participating in the tournament. Are you ready for FIFA Confederations Cup 2013? 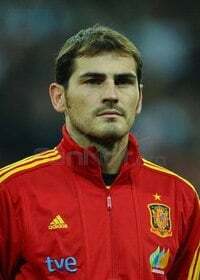 Goalkeepers: Iker Casillas (Captain), Jose Reina, Victor Valdes . Defenders: Jordi Alba, Raul Albiol, Alvaro Arbeloa, Cesar Azpilicueta, Nacho Monreal, Gerard Pique, Sergio Ramos. Mid-fielders: Sergio Busquets, Santi Cazorla, Cesc Fabregas, Andres Iniesta, Javi Martinez, Juan Mata, David Silva, Xavi. Forwards: Fernando Torres, Roberto Soldado, David Villa, Jesus Navas, Pedro. Forwards: Neymar, Fred, Hulk, Leandro Damiao. Goalkeepers: Alfredo Talavera, Julio Dominguez, Guillermo Ochoa. Defenders: Francisco Javier Rodriguez(Captain), Gerardo Flores, Hiram Mier, Jorge Torres, Hector Moreno, Severo Meza, Diego Reyes, Carlos Salcido. Mid-Fielders: Andres Guardado, Jesus Eduardo Zavala, Hector Herrera, Javier Aquino, Angel Reyna, Pablo Barrera, Gerardo Torrado, Jesus Antonio Molina. Forwards: Aldo De Nigris, Giovani Dos Santos, Javier Hernandez, Raul Jimenez. Coach: Jose Manuel de la Torre. Goalkeepers: Vincent Enyeama, Austin Ejide, Chigozie Agbim, Daniel Akpeyi. 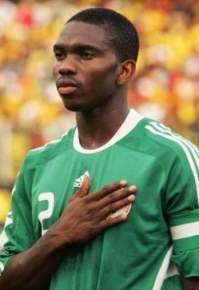 Defenders: Joseph Yobo (Captain), Efe Ambrose, Elderson Echiejile, Kenneth Omeruo, Azubuike Egwuekwe, Ebenezer Odunlami, Benjamin Francis, Solomon Kwambe, Godfrey Oboabona. Mid-Fielders: John Mikel Obi, Ogenyi Onazi, Fegor Ogude, John Ogu, Reuben Gabriel, Sunday Mba, Emeka Ezeh. 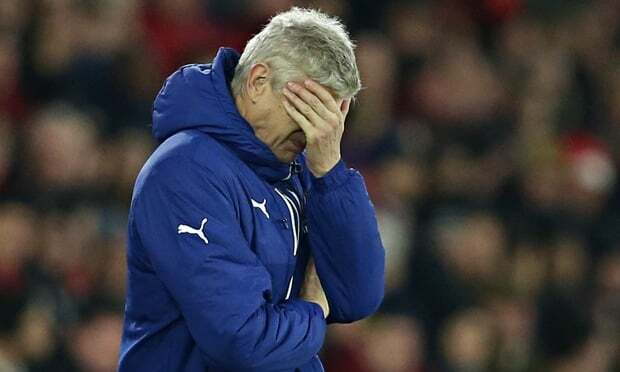 Forwards: Ahmed Musa, Brown Ideye, Victor Moses, Emmanuel Emenike, Michael Babatunde, Nnamdi Oduamadi, Anthony Ujah, Kalu Uche, Gomo Onduku, Obinna Nwachukwu, Gambo Mohammed. Goalkeepers: Gilbert Meriel, Mikael Roche, Xavier Samin. 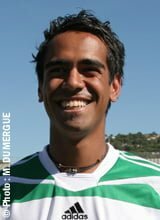 Defenders: Nicolas Vallar (Captain), Rainui Aroita, Edson Lemaire, Teheivarii Ludivion, Stéphane Faatiaru, Simon Vincent, Yannick True, Tamatoa Wagemann. Mid-Fielders: Ricky Aitmai, Stanley Atani Heimano Bourebare, Henri Caroine, Alvin Tehau, Jonathan Tehau, Lorenzo Tehau, Yoann Tihoni. Forwards: Steevy Chong-Hue, Samuel Hnanyine, Teaonui Tehau, Marama Vahirua. 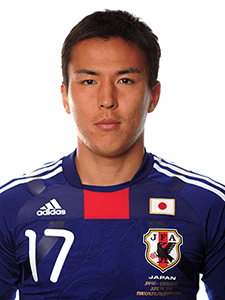 Goalkeepers: Shuichi Gonda, Shusaku Nishikawa, Eiji Kawashima. Defenders: Gotoku Sakai, Hiroki Sakai, Yuzo Kurihara, Masahiko Inoha, Maya Yoshida, Atsuto Uchida, Yuto Nagatomo, Yasuyuki Konno, Yuichi Komano. Mid-Fielders: Makoto Hasebe (Captain), Hideto Takahashi, Takashi Inui, Hiroshi Kiyotake, Hajime Hosogai, Shinji Kagawa, Keisuke Honda, Kengo Nakamura, Yasuhito Endo, Keigo Higashi. Forwards: Shinji Okazaki, Ryoichi Maeda, Mike Havenaar, Masato Kudo . Goalkeepers: Rodrigo Munoz, Fernando Muslera. 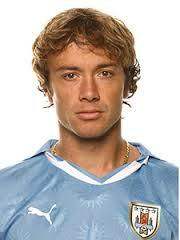 Defenders: Diego Lugano (Captain), Jorge Carrasco ,Martin Caceres ,Jorge Fucile, Diego Godin, Maximiliano Pereira, Mauricio Victorino. Mid-Fielders: Egidio Arevalo, Sebastian Eguren, Alvaro Fernandez, Walter Gargano,Alvaro Gonzalez, Nicolas Lodeiro, Alvaro Pereira, Diego Perez, Gaston Ramirez, Andres Scotti. Forwards: Sebastian Abreu, Edinson Cavani, Sebastian Fernandez, Diego Forlan, Abel Hernandez, Luis Suarez. 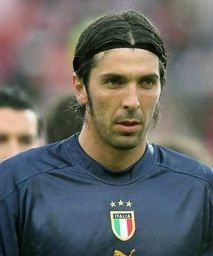 Goalkeepers: Gianluigi Buffon (Captain), Salvatore Sirigu, Federico Marchetti. Defenders: Ignazio Abate, Davide Astori, Leonardo Bonucci, Andrea Barzagli, Mattia De Sciglio, Giorgio Chiellini, Cristian Maggio. Mid-Fielders: Alessio Cerci, Alessandro Diamanti, Alberto Aquilani, Andrea Pirlo, Antonio Candreva, Riccardo Montolivo, Daniele De Rossi, Emanuele Giaccherini, Claudio Marchisio,. Forwards: Mario Balotelli, Sebastian Giovinco, Alberto Gilardino, Stephan El Shaarawy. With the FIFA Confederations Cup 2013 Squads announced, who do you think is the favourites to win the Tournament?